The Tata Nano is the cheapest car in the world at under $2,000 — before options. If you want solid paint you'll need to fork over more rupees. Full price list below. There are three variables when considering price: trim level, paint, and geography. Tata Nano Standard: three color options, single-color seats, and fold-down rear seat. Starts at $2,217 after fees. The three options are the basic paint on the Nano Standard and either "Solid" or "Metallic" paint on the CX (the LX is only available with metallic paint). As you'd expect, solid paint costs less than metallic paint. We're guessing they just cover the standard with house paint. Based on the pricing sheet we have, there are three regions: Nagar, Delhi, and Mumbai. 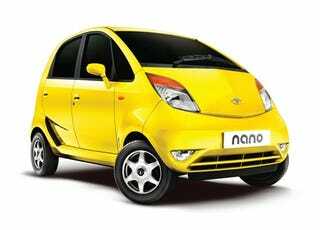 A Tata NanoLX with metallic paint (BS3) costs $3,350 in Nagar, $3,388 in Delhi, and a whopping $3,642. Thanks for the tip Otto!